Whether you are Irish or just pretend to be one on March 17, St. Patrick’s Day has become quite a celebration in America. For many, it’s a day to wear green, search for four-leafed clovers, and savor Irish cuisine. But like any holiday, St. Patrick’s Day tends to be a day of indulgence. With everything from shamrock-shaped cookies to green beer, it may seem like there aren’t any nutritious options. Have no fear! 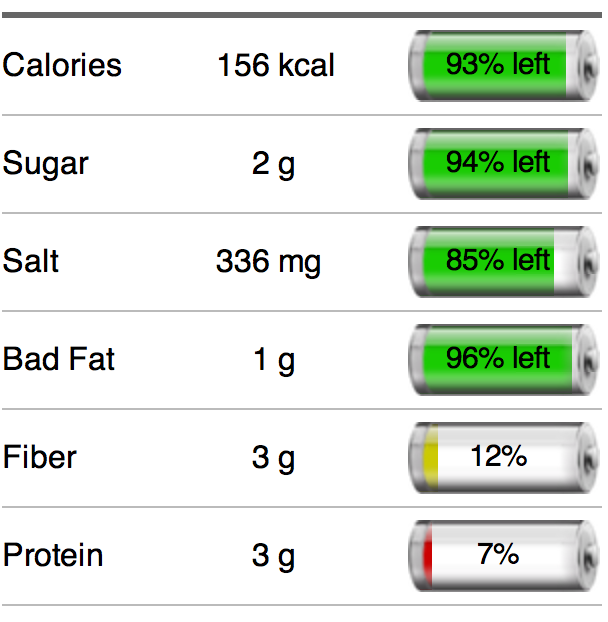 Bon’App has the lowdown on what to keep in mind to make healthy choices while enjoying the festivity. 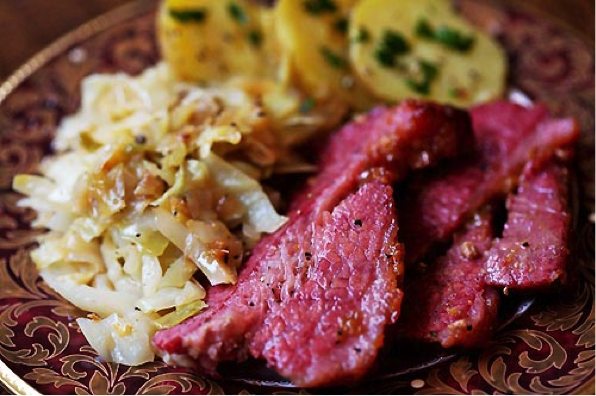 Perhaps the most popular option for a St. Patty’s Day meal, corned beef doesn’t actually get its name from corn! The name comes from the process of preserving meat with “corns of salt,” so it’s no surprise that this dish has a lot of salt. Given that a 3-ounce serving contains 213 Calories, 15 grams of Protein, and 6 grams of Bad Fat, try to limit your portion of corned beef and load up on the veggies, such as carrots and cabbage. No talk of Irish food would be complete without potatoes! While this starchy vegetable is considered the foundation of Ireland’s cuisine, potatoes aren’t native to the Emerald Isle. They were only introduced after Columbus came back from his expedition to the Americas. 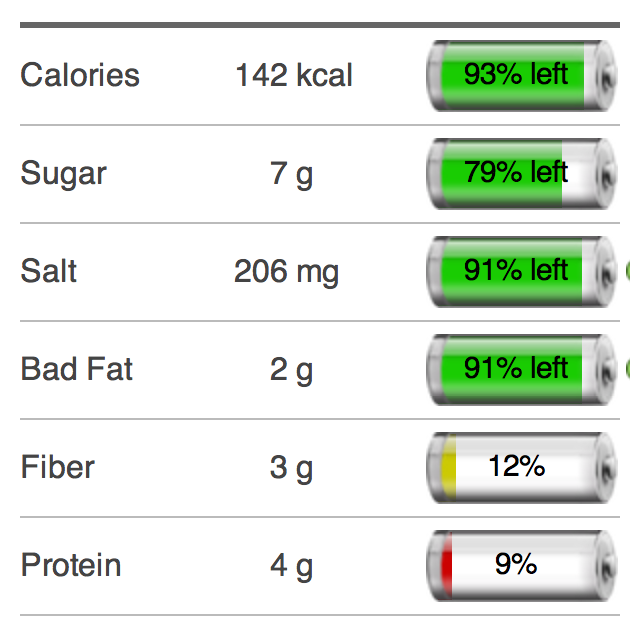 While potatoes are often given a bad rep, they can actually be quite nutritious. 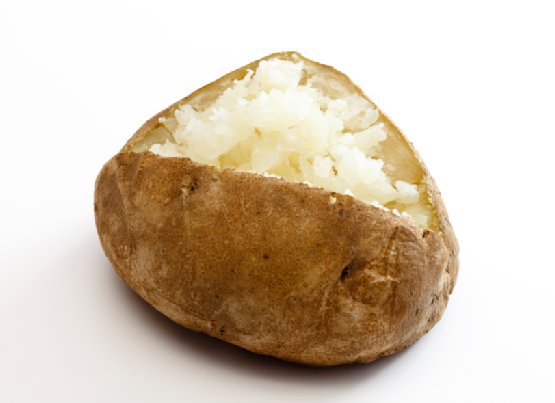 One small baked potato contains 156 Calories and 3 grams of fill-you-up Fiber. The key to nutritious potatoes is avoiding fatty accompaniments like butter or sour cream and staying away from the fried varieties. So ditch the fryer and roast some up to accompany your corned beef! 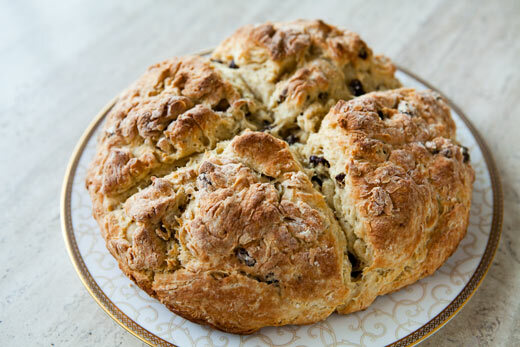 Soda bread is popular in many cultures, but it’s considered a staple in Ireland. It can be used to make a sandwich or enjoyed alone as a dessert or snack. One way to make soda bread more nutritious is to make your own, which is surprisingly easy! Try cutting back on the sugar and using whole-wheat flour, which will add a lot more fiber to this delicious bread. Bon'App recommends Food.com's Whole Wheat Irish Soda Bread, with the natural sweetness of raisins and a hint of molasses. 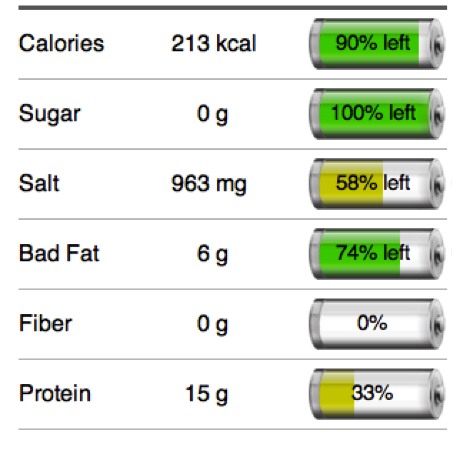 A single slice contains 142 Calories and 7 grams of Sugar.